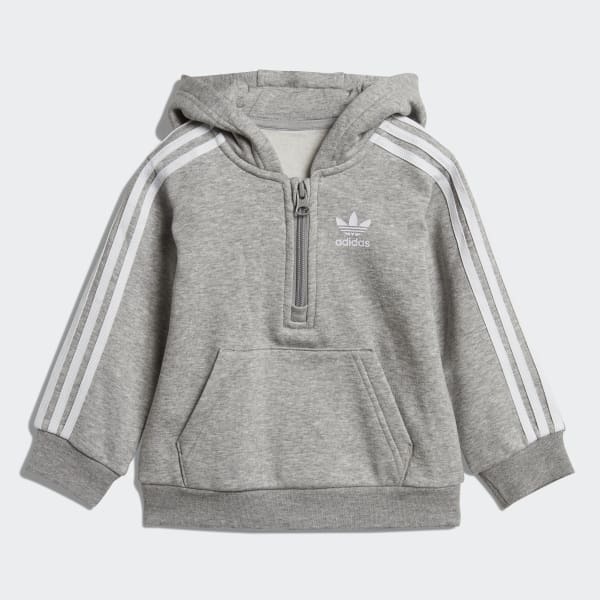 An infants' set that comes with a half-zip hoodie and iconic sport details. A timeless sport look that's built for comfort. 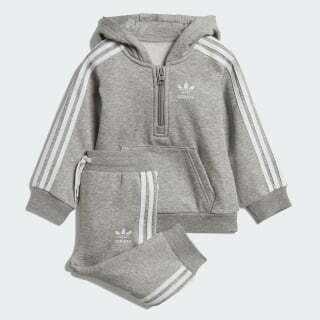 This infants' set comes with a half-zip hoodie that has a sleek shape. The outfit shows off authentic adidas Originals style with a Trefoil logo and 3-Stripes details. Both pieces are made of fleece fabric for a plush, comfortable feel.